While the simulation below might me done from the command line with an netlist file, interacting with the simulator inside a Python program gives the user the ability to employ all the extreme flexibility and power of the Python language. 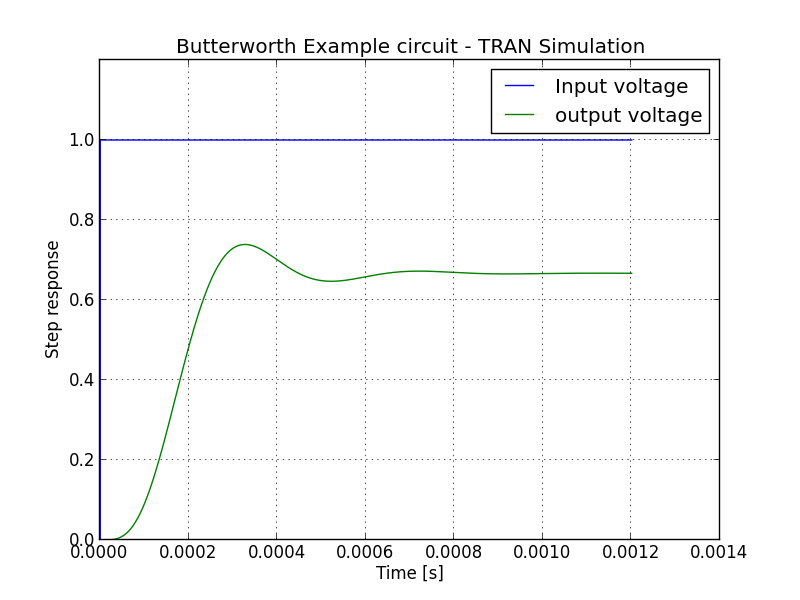 This page gives an beginners tutorial showing how, especially illustrating AC and TRAN simulations. Please refer to the doc pages for ahkab and ahkab.circuit for more. This example is example 7.4 in from Hercules G. Dimopoulos, Analog Electronic Filters: Theory, Design and Synthesis, Springer. Then you can use the nodes you have defined to add your elements to the circuit. The circuit instance provides convenient helper functions. Next, we want to add the voltage source V1. 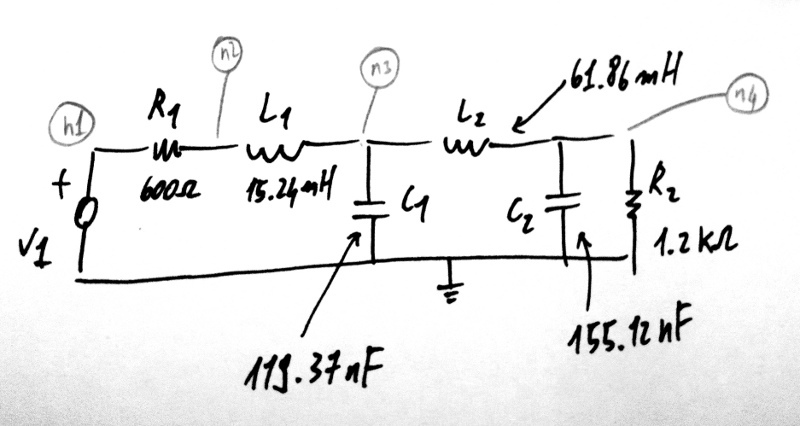 We can now check that the circuit is defined as we intended, generating a netlist. 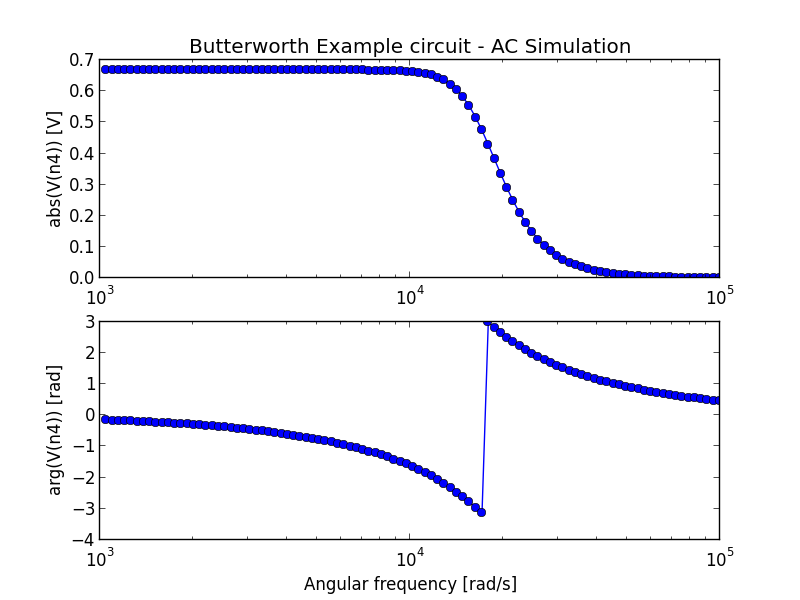 <AC simulation results for Butterworth Example circuit (netlist None). And a similar approach can be used to access the TRAN data set. It is also possible to extract attenuation in pass-band (0-2kHz) and stop-band (6.5kHz and up). The problem is that the voltages/currents we are looking for may not have been evaluated by ahkab at the desired points. This can be easily overcome with interpolation through scipy.